Sonny Pumphrey, 78, was working in his driveway Tuesday afternoon when he said he looked up and found himself eye to eye with a black bear, according to a post on his Facebook page. 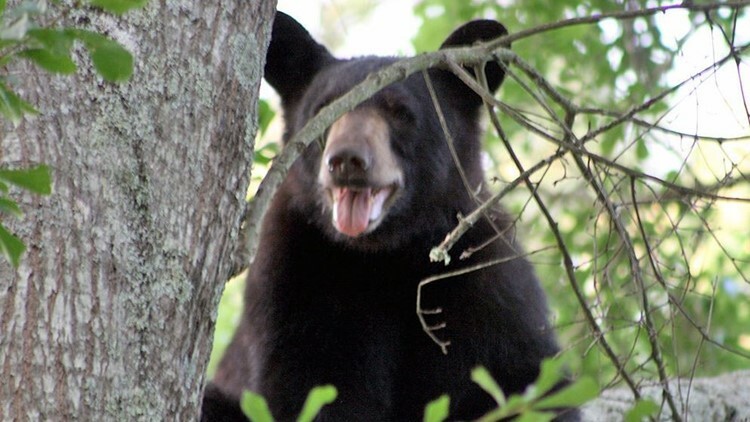 WAYNESVILLE - A Haywood County man says he punched a mother black bear in the nose after she came toward him at his home off Liberty Church Road. “He was taken to Haywood Regional Hospital and released. He sustained scratches and possibly a small puncture,” said Fairley Mahlum, spokeswoman with the N.C. Wildlife Resources Commission. She said the bear had two yearling cubs with her. This is the second black bear attack in Western North Carolina in less than two months, according to the Wildlife Commission. In September, Toni Rhegness, 75, of Swannanoa, suffered serious, non-life threatening injuries after she was bitten and scratched by a female black bear near her home. Rhegness was walking her dog on a leash about 10:30 p.m. Sept. 18 when she saw three bear cubs in a neighbor’s trash. As her dog barked, Rhegness shouted to scare the cubs off, picked up her dog and headed toward her home. The adult, female bear, which Rhegness hadn’t seen, then bit and scratched her repeatedly. “It’s important to note that this black bear's behavior was defensive, not predatory, and the bear may have been responding to the barking dog,” said Colleen Olfenbuttel, Wildlife Commission black bear and furbearer biologist. Mahlum said the Waynesville incident might have been a similar situation, in which the mother bear was acting in defense of her cubs. Mahlum said wildlife officers set a trap for the bear, but it is unlikely she will be caught because it is believed that she was passing through the area, which has not had many black bear sightings. In the Swannanoa attack, wildlife staff trapped the adult bear and cubs and euthanized the adult bear to protect human safety and to keep the cubs from learning her behavior, Olfenbuttel said. In cases where a bear is at least 50 feet away, Mahlum said that yelling, clapping and making noise can be an effective way to drive black bears away. But she said this technique is not recommended when very close to a bear, or when encountering a mother bear with cubs. She advises people to be aware of their surroundings and be on the lookout for bears, who are on the move now in search of food before the winter. “This year we’re seeing a situation where their natural food sources are very low – the acorn crop was not good this year – so the bears are under more stress to find food than normal,” said Mike Carraway, a wildlife biologist with the commission. For more information on bear safety, visit BearWise.org. Reporter John Boyle contributed to this report.